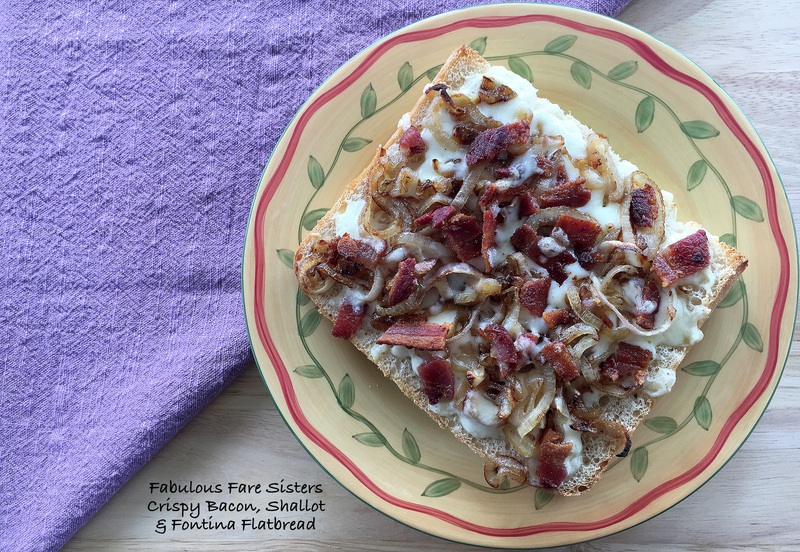 I like to eat a good flatbread for lunch sometimes so I’m constantly thinking of different ingredients to top them with…this Crispy Bacon, Shallot & Fontina Flatbread is one of those ideas that popped into my head when I passed the Fontina cheese in the supermarket. For today’s flatbread I used a loaf of ciabatta bread sliced horizontally; kind of like a ‘French Bread Pizza’…It was tasty on its own but when I drizzled it with the Balsamic Glaze it just pushed it over that edge to super yummy! Heat oven to 450°F. Cook bacon until crisp; drain and crumble. Heat extra virgin olive oil in a skillet on medium heat. Sauté shallots in oil until caramelized (~10 minutes). To assemble: sprinkle flatbreads with Fontina cheese. 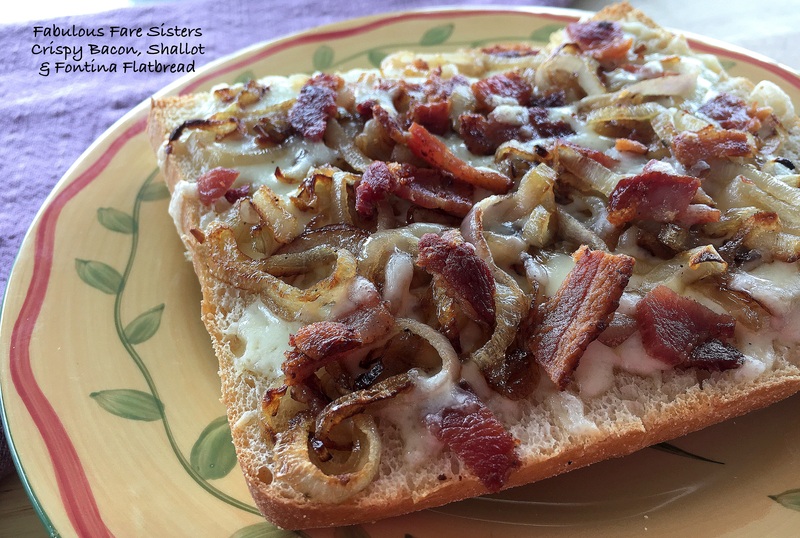 Top with bacon & shallots. Bake in heated oven 7-10 minutes until edges of bread are lightly browned and cheese has melted. Remove from heat. Drizzle with Balsamic Glaze if using. this one has me drooling!!! You’re so welcome! Have a great day!! Hey now! Now this is a tasty little snack and then some, mmm! !